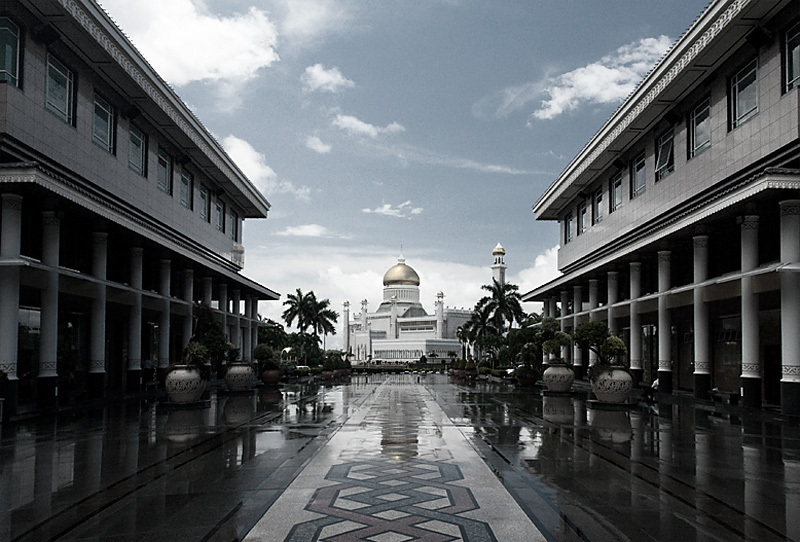 The main mosque in Brunei after a sweaty, sticky, rain shower. The uncomfortably high humidity after a quick rain tested my resolve to even leave the air-conditioned mall for a quick photo. Think 110 degrees (F) and humid beyond all belief! On a side note, going from an air-conditioned setting where your camera equipment gets refrigerated then quickly jumping to a hot, humid environment can be lethal to your camera. For this photo, I removed the battery then waited outside in the scorching heat for the camera to reach ambient temperature to avoid possible condensation and prevent short circuiting.